Break free from the office with the best meeting rooms in Kettering. Teamwork truly does make the dream work, to borrow from the popular saying. Co-operation is the key to success, and as much as we all believe in ourselves and our vision, the real aim in business is to work collaboratively with shared ideas and goals. We can see that you are committed to taking the first steps to a happier and more productive team and we would love to accommodate your team building in Northamptonshire. Our first piece of advice? Prioritise motivation, consideration and determination. A leader is defined not by their own actions, but by the rousing inspiration they offer those around them. Bringing up standards, a champion in their area of expertise; a leader has the power to do great things as long as their team feels valued. Without the backing of your team, goals won’t be achieved so it is imperative that offices and workplaces dedicate time to team building and development. Elevate your team from ordinary to extraordinary with our two favourite team building tips that you can utilise during your conference at Rushton Hall. You need help with Creative Problem Solving and Collaboration. ‘A Shrinking Vessel’ is the perfect solution to an issue with problem solving or collaborative working. Using a rope, and either a blanket or masking tape create a space on the floor. In teams of 3-5 people, stand inside the space but wait – the space will gradually shrink every few minutes so teams will need to think on their feet to ensure that each team member stays inside the boundaries. If anyone steps out – the game is over. This promotes communication and inventive problem solving – think a more grown up version of twister! You will also be able to identify any future leaders thanks to this exercise. You need help with Team Bonding. This activity is perfect for developing your team’s sense of self, both individually and cohesively. Perhaps your team has a new addition, or perhaps they have worked together for a long time and need to shake off preconceptions or assumptions. ‘Truth or Lies’ works well in teams of 5 or more people, and only takes 15 minutes. Each person makes three statements about themselves – the catch? Two statements are true and one is a lie. The team then needs to guess which statement is false. It’s a great way to get to know each other, and grow closer as this game tends to show off the personal side of your team. Give your workforce a boost by holding your team building at the finest conference and meeting rooms in Kettering. We offer complete packages that include a Corporate Lunch, too. 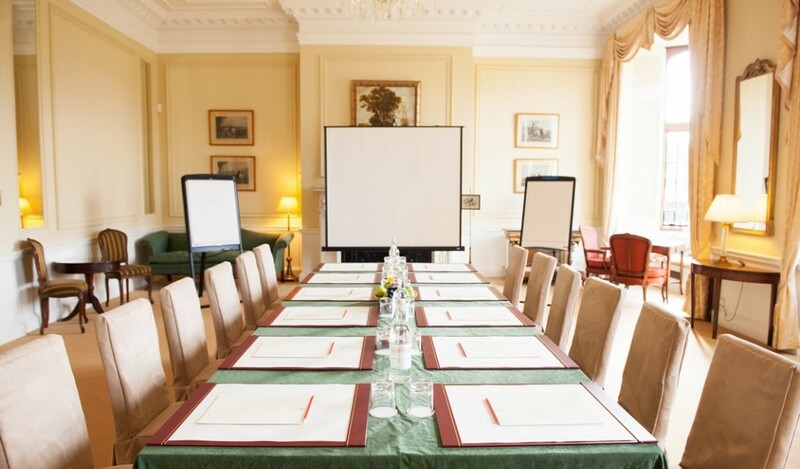 Our Events Team would be delighted to discuss Team Building options for your Conference at Rushton Hall – you can contact us on 01536 713001 or by email.